DIA is now available for equine practitioners. Over 1000 illustrations, animations, clinical images, radiographs and other diagnostic images cover a myriad of conditions. The power and portability of the iPad provides an amazing platform for both DIA Small Animal and Equine. 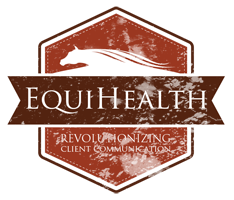 EquiHealth now includes a TV/DVD version of the wellness videos that appear on the horse owner portal and within DIA Equine. No more scrambling for books or sketching out conditions or procedures on a piece of paper. This program will drastically improve your ability to validate your diagnostic findings and justify important treatments and procedures. Using cutting edge graphics and imagery, clients will be amazed with the insight you can provide into their horses health and well being. The DIA software can be used on exam room computers, laptops, Tablets and/or touchscreens. The program not only allows you to educate clients in-hospital, its a great ambulatory tool as well. The program allows you to e-mail information home or print images and handouts. Please call our sales team at 888-826-0935 or email at sales@equihealth.com for additional information and pricing details. iDIA™ puts client education at your fingertips with a fast and easy-to-use application designed exclusively for the iPad™. iDIA takes advantage of the technologys touchscreen and capabilities,with hand-held client education you can take anywhere - from the exam room to the stable. Be prepared to amaze your clients with iDIAs cutting-edge graphics and animations. Explore the interface animal and virtual anatomy and surgical animations with stunning clarity and ease. Highlight problem areas with side-by-side comparisons, zooming capabilities and the ink tool. Plus, you can email client education materials directly from iDIA with fully integrated client handouts. This DVD can be played on a television in your reception area for owners to enjoy while they wait. Each of these videos can also be placed on your website, outside of EquiHealth, to educate prospective clients who are shopping for a new veterinarian. The eight videos listed below average five minutes each and are packed with valuable health information to better inform your clients. The DVD can be set to loop automatically or individual videos can be selected.